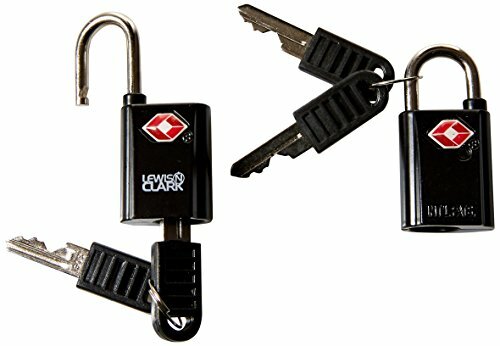 100% TSA APPROVED LUGGAGE LOCKS. 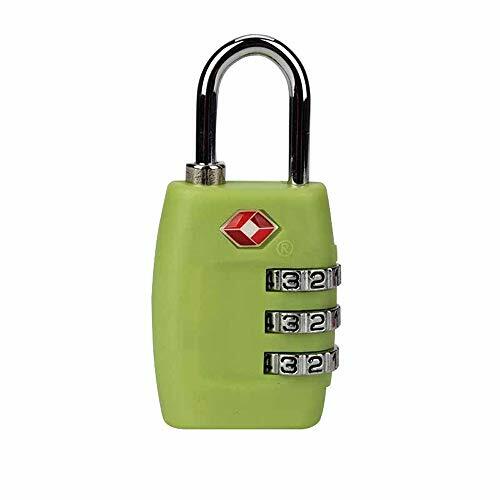 All travel locks we sell are certified and designed from the ground up to be the strongest and durable luggage locks in the market. 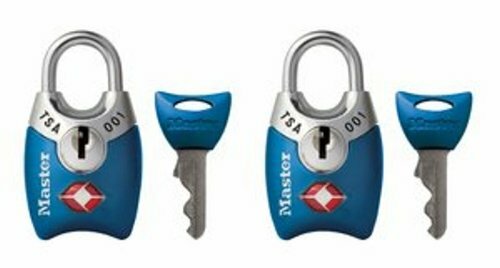 The key slot of TSA locks is designed for security officers to use to access the luggage for inspection. 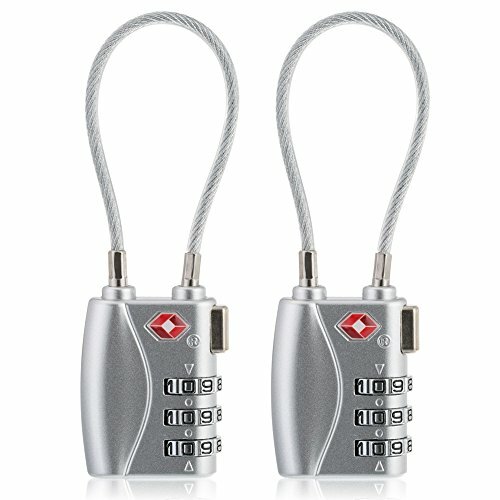 ALWAYS RELOCKED, ALWAYS PROTECTED. 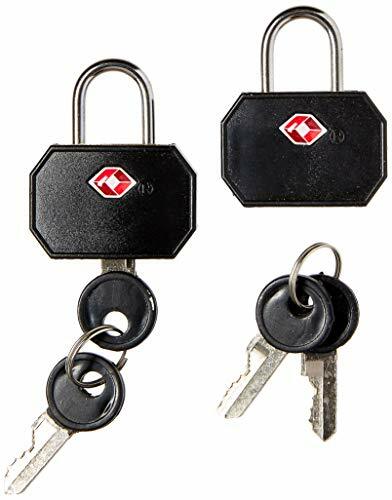 TSA agents never leave Your bags unlocked after inspections, Because they cannot remove the key without re-locking It. 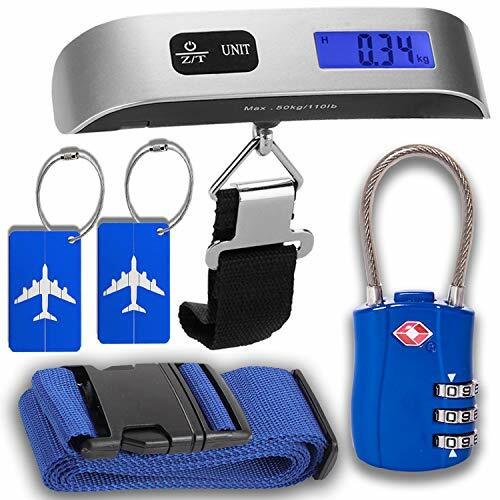 So You can keep belongings safe after TSA inspection! WIDE RANGE OF USES. 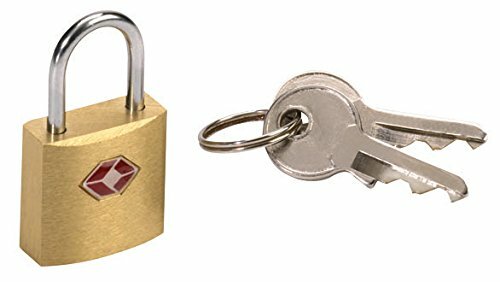 The sturdy locks we sell can be used international on a wide variety of items besides luggage or suitcases. 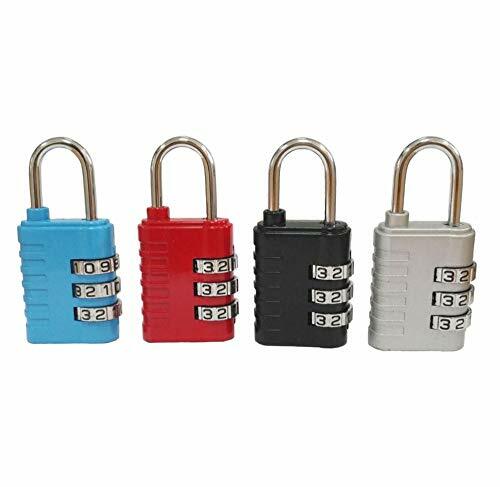 These high quality padlocks can be used on a backpack zipper, baggage, gym locker, purse, gun case, briefcase, cabinet, toolbox golf bag or laptop bag. 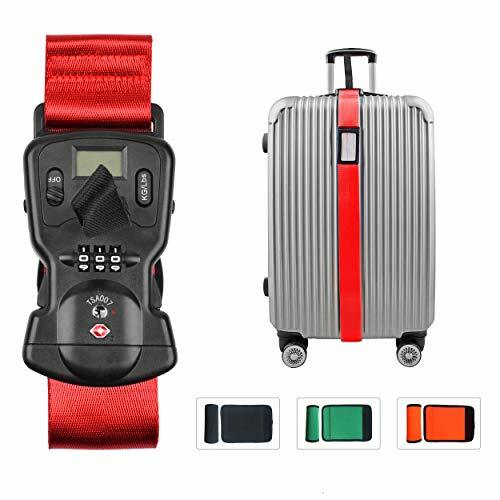 ❤ luggage straps tsa approved: The adjustable long strap can be wrapped in almost any size package and its contents are not accidentally opened due to zipper breakage, Also helps to quickly identify your luggage from airport conveyor belt within the unique color. Don't waste any more time at baggage claim than you need to. 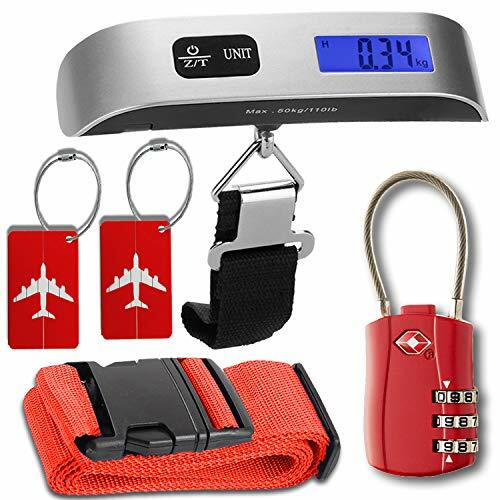 ❤ digital Luggage Scale: luggage weight scale helps avoid excess-bag-weight costs when traveling. ❤ luggage locks tsa approved: TSA accepted luggage lock enabling screeners with the ability to inspect and relock luggage without damaging lock. 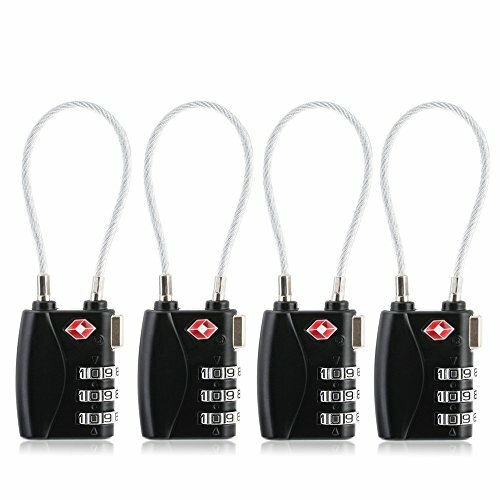 ❤ Luggage Tags: Using a luggage tag to help identify your luggage does, And with the ID card , you will never worry about your luggage lost during your trip. ❤ 100% MONEY BACK and LIFE TIME WARRANTY: Contact us via Amazon message box or lange@smaior.com if you meet some issues or have some advice. 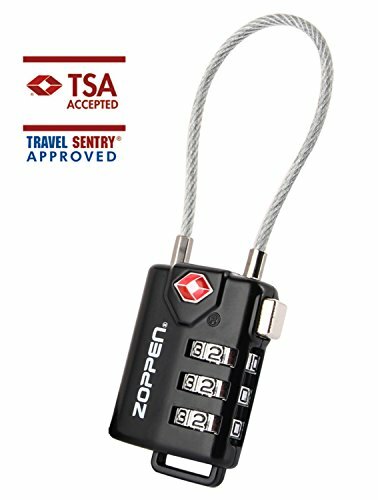 TSA Approved Luggage Locks - Allows TSA screeners to inspect and relock baggage without damaging the lock,for added security. 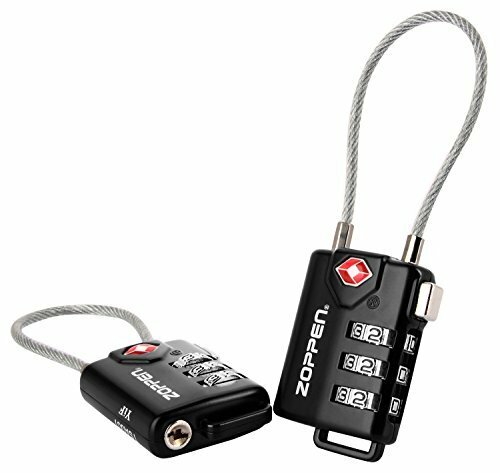 High Quality Widely Used Luggage Lock - Can be used for locking luggage,suitcase,tool box,locker golf bag,bags,backpack,drawer,etc. 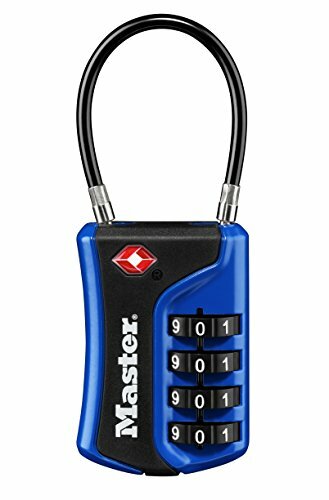 Designed for Security and Easy to Use - Easy to use,this 3-Digit combination lock protects your luggage with a personal coded lock. 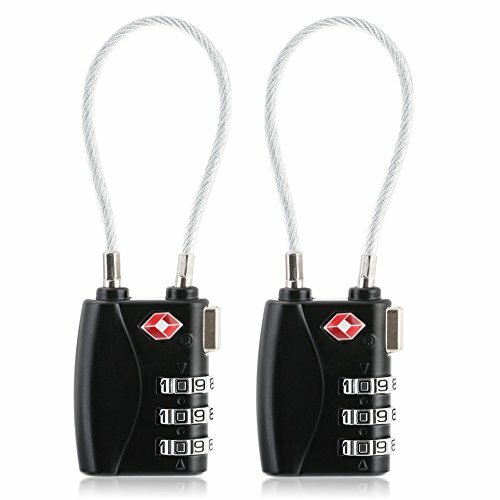 Easy to Set & Reset Combination with Three Digits - The lock password can be resettable according to your own needs. Light Weight,Body Mades of ABS Material - Compact size and sturdy structure,easy to use and carry. 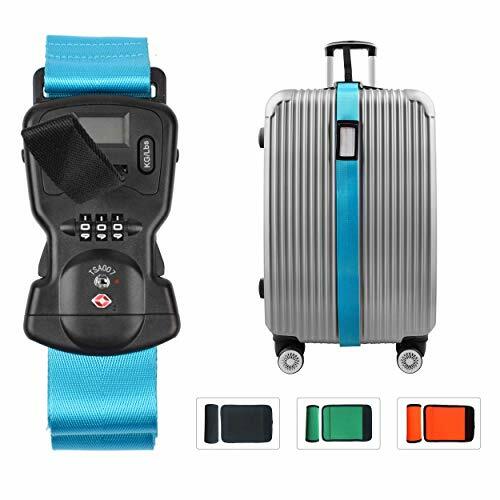 ❤ luggage straps tsa approved: Adjustable Elastic Luggage Strap can be wrapped in almost any size package and its contents are not accidentally opened due to zipper breakage, Also helps to quickly identify your luggage from airport conveyor belt within the unique color. Don't waste any more time at baggage claim than you need to. 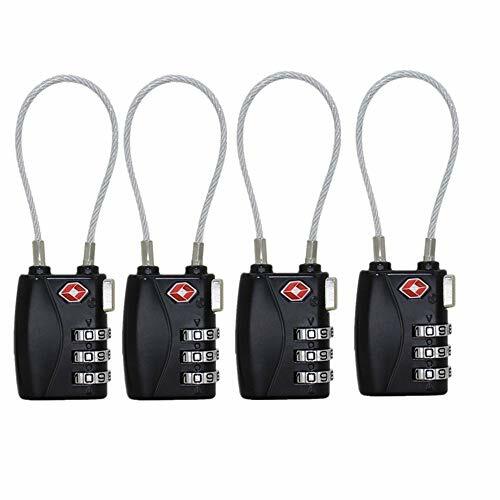 KEYLESS CONVENIENCE: 4 dial combination security for keyless convenience,10,000 combination possibilities, easy to set & reset numeric combination. 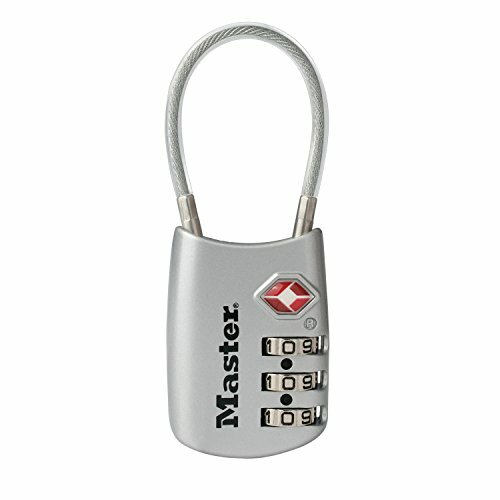 DURABLE DESIGN: Made of zinc alloy and plated steel. Provide exceptional durability, unique flexible cable resists abuse from baggage handling equipment. APPLICATION: Suitable for home and travel. 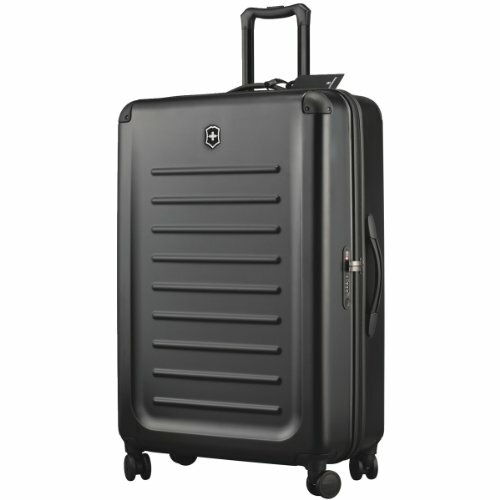 It can be used for backpacks, bags, briefcases, and luggage. 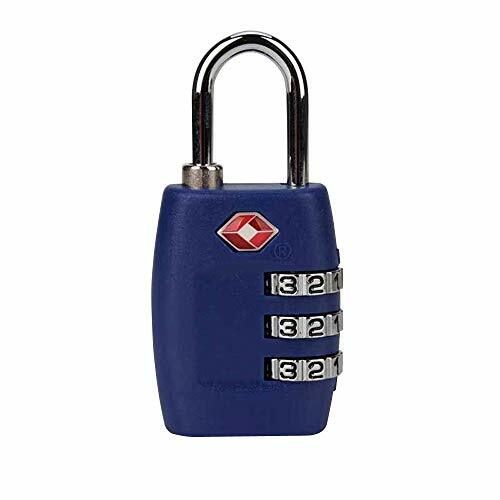 WARRANTY: We have 6 months replacement warranty and 100% satisfaction service, if you have any query with our product, please feel free to contact us. SPECIFICATIONS. Dimensions: 22"W x 32.3"H x 11.4"D. Capacity: 96L. Weight: 10.14 lbs. 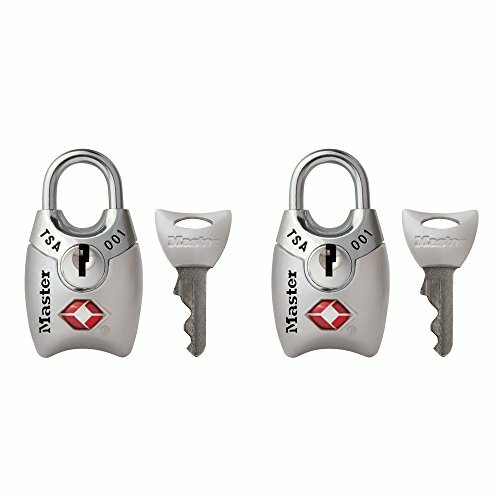 Protect your luggage with top quality 3-digit combination TSA-approved padlocks. 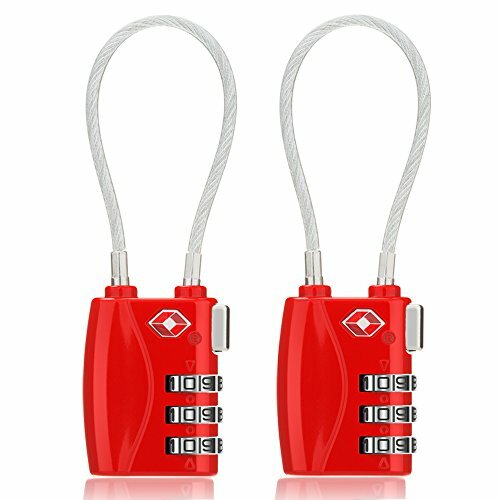 TSA Approved Lock: Allows TSA screeners to inspect and relock baggage without damaging the lock, for added security. 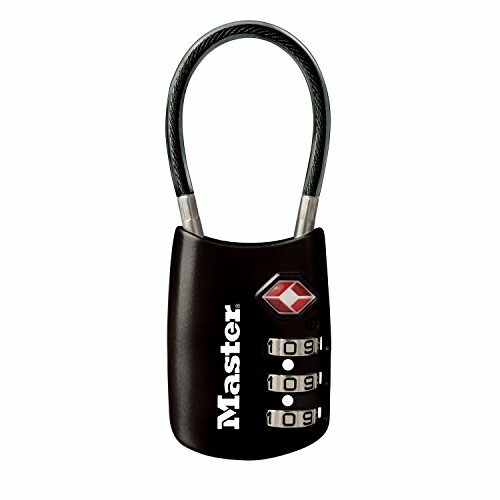 Numbers are easy to read,maneuver and set to your own preferred combination. 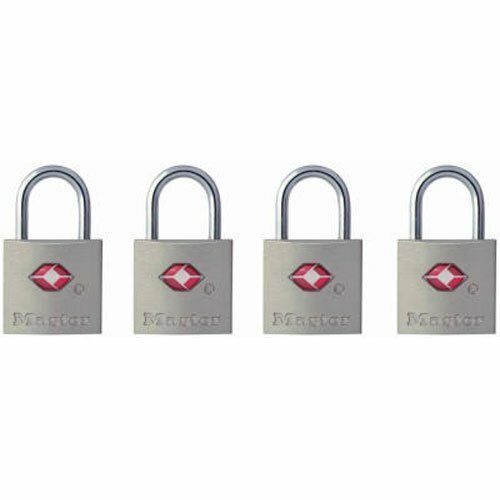 <b>One Year Warranty:</b> Each of our TSA approved locks is carefully selected and double checked before shipping. We guranttee 100% free replacement or full refund for any quality problem in 1 year. 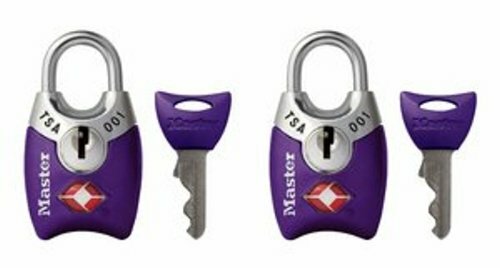 TSA LUGGAGE LOCK: 2 padlocks, 4 keys, keep your luggage locked and safe during travel through the airport. TSA screeners can inspect and relock luggage with this specially engineered padlock. Multi packs are perfect when traveling with more than one piece of luggage. 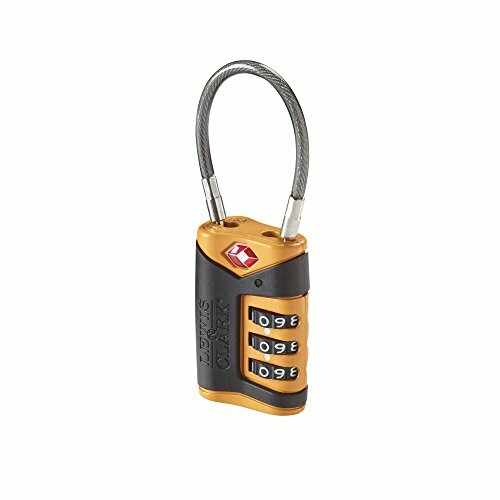 MAXIMUM DURABILITY: This is the toughest TSA travel lock you can buy. 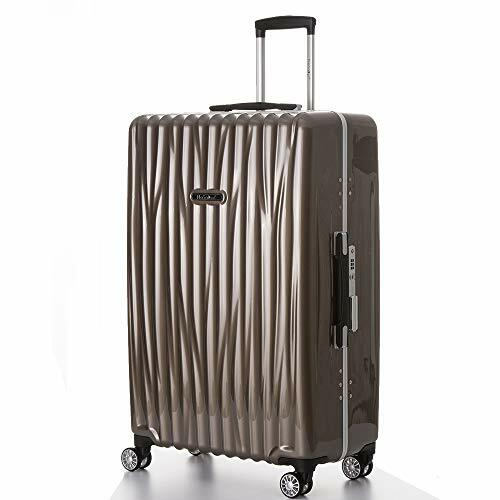 Durable brass and steel construction with ABS plastic casing won't break on conveyor belts or when baggage handlers are loading and unloading luggage. 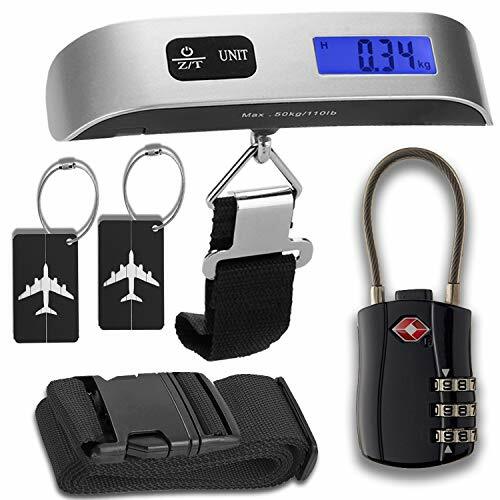 Keep your suitcase protected anywhere in the world. NO COMBINATION: Classic and reliable key padlock. No need to write down and remember a combination while you travel. 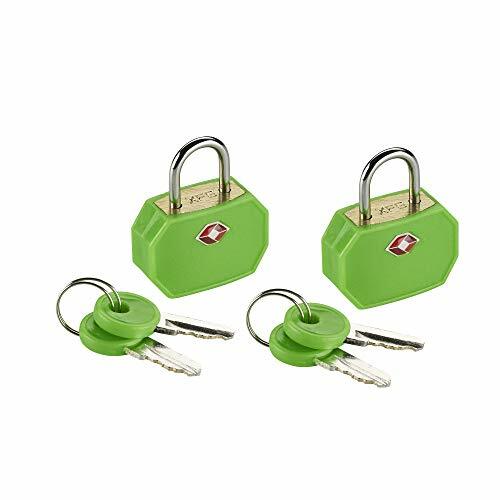 VERSATILE: This padlock keeps your suitcase and luggage safe and it's TSA friendly. 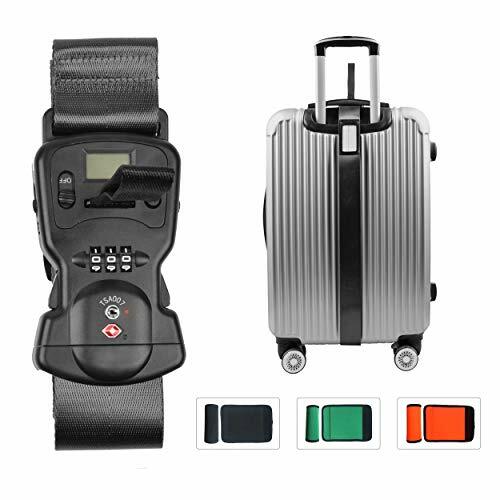 Different colors available so you can easily spot your luggage. 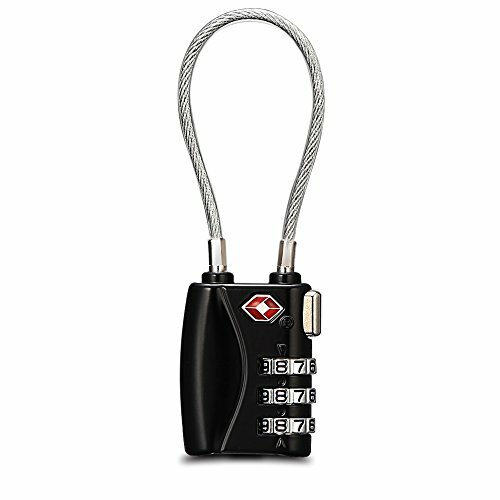 Mini size makes it perfect for a gym lock, briefcase, laptop bag, purse, backpack, and more. 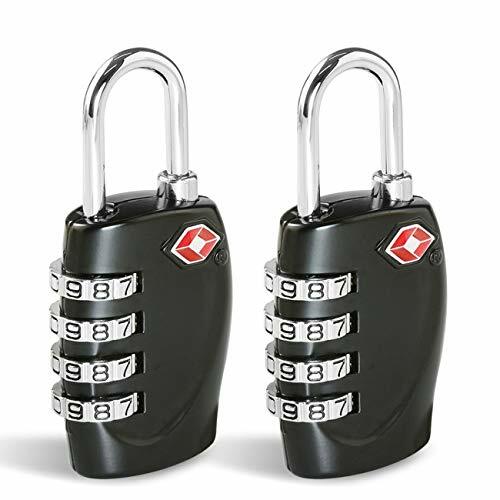 TSA LUGGAGE LOCK: 2 black padlocks, 4 keys, keep your luggage locked and safe during travel through the airport. TSA screeners can inspect and relock luggage with this specially engineered padlock. Multi packs are perfect when traveling with more than one piece of luggage. 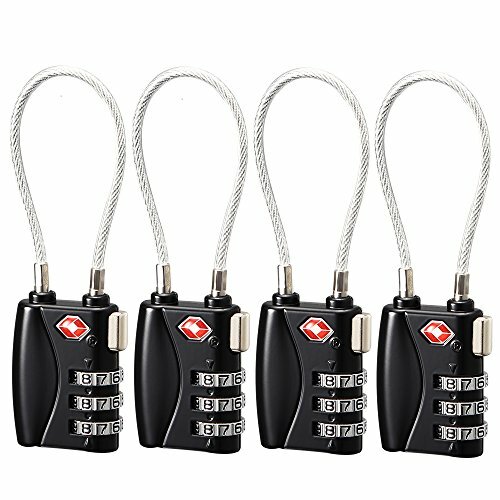 EXTRA KEY INCLUDED: Includes four keys and two keyrings. Added security in case one key is lost. Keep the spares with you or give it to someone else. 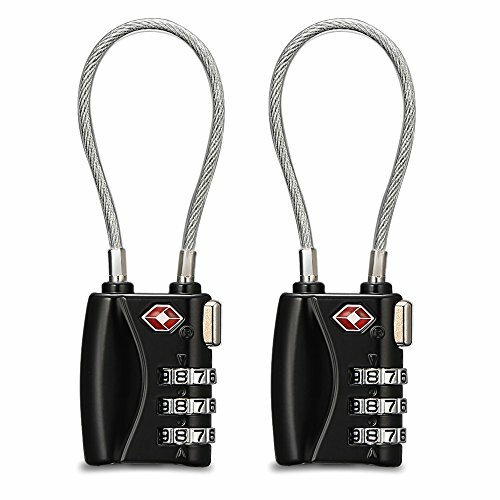 MOST DURABLE TSA APPROVED LUGGAGE LOCKS: RECOGNIZED lock uses special alloy lock bodies, tightly braided and sheathed steel cables as well as patented internal mechanisms to provent harshest of baggage handling. 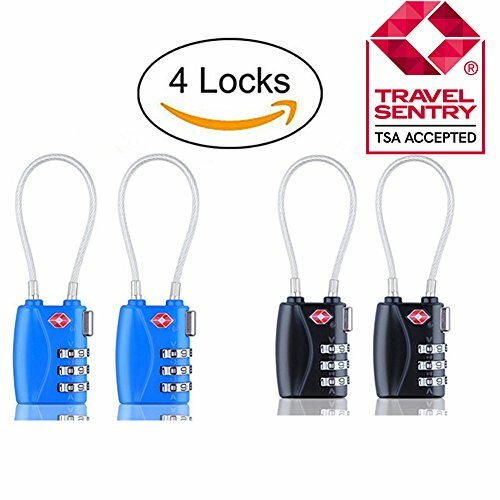 TSA screeners will unlock and relock your luggage bag without having to break the lock open which would leave your belongings vulnerable to theft. 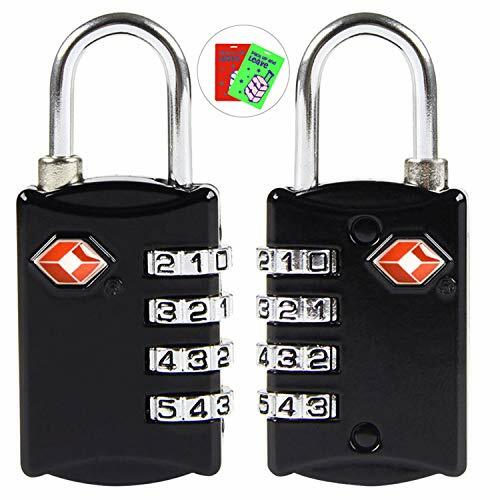 EASY TO SET 3 DIGIT COMBINATION CODE: Easily set your own combination as many times as you like. With default combination of 000 entered, usa a pen press the button. Enter your new code. It is done. 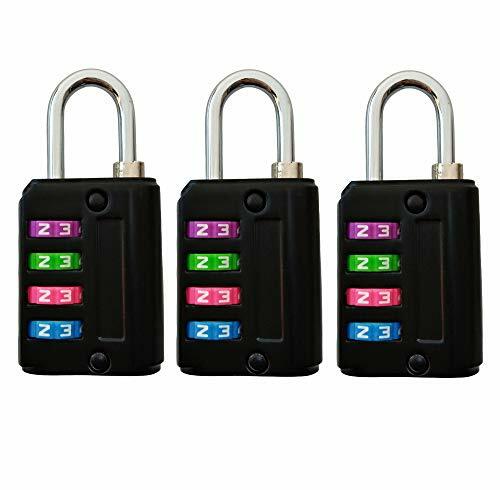 MULTIPLE USES: Not Only for international travel luggage, also use it at Work, Gym Locker, School, Coffee bar, or Home for securing personal belongings such as suitcase, bag, back packs, cabinet,briefcase,laptop bag and etc. 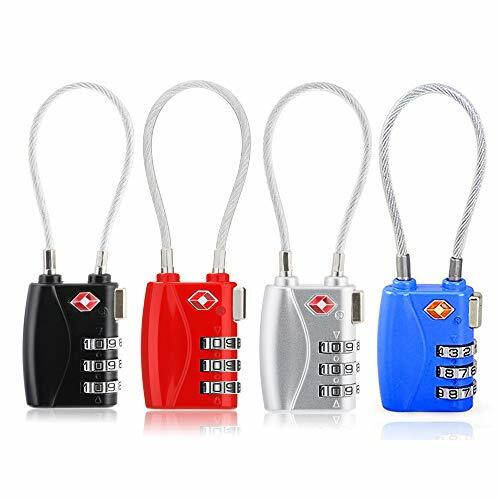 FLEXIBLE STEEL CABLE Lock: Cable size is perfect for thread through all standard sized zippers and keep several zippers/compartments toggether at one time but strong enough to protect your belongings. WARRANTY: 100% Satisfaction Guarantee - Money Back Guarantee with Lifetime warranty. 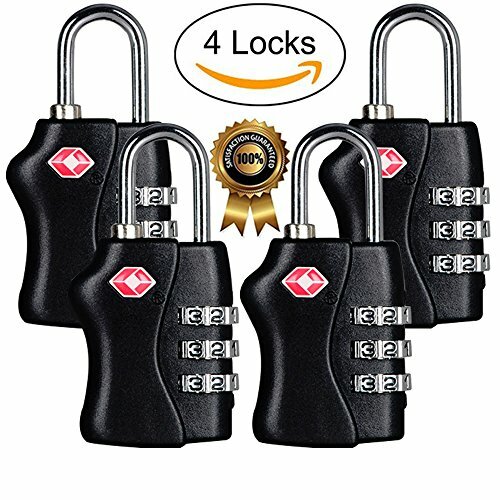 Please contact us if angthing question during used our TSA lock at any time and place. 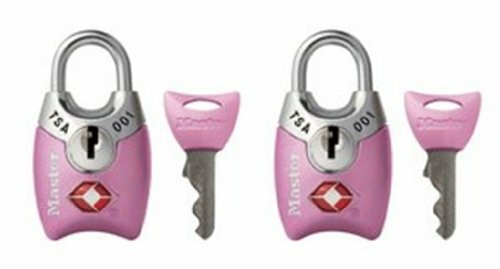 TSA LUGGAGE LOCK: Keep your luggage locked and safe during travel through the airport. 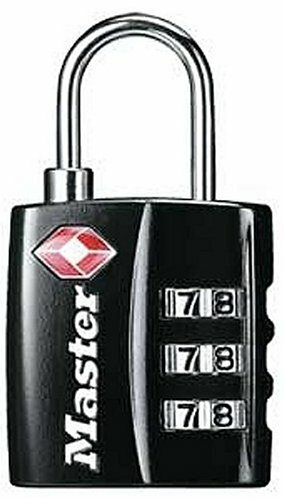 TSA screeners can inspect and relock luggage with this specially engineered padlock. 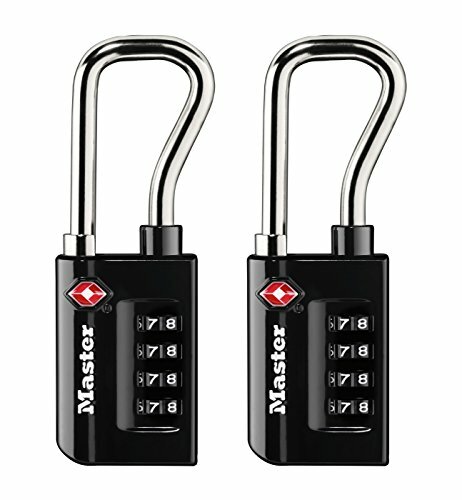 NO COMBINATIONS: Classic and reliable key padlock. No need to write down and remember a combination while you travel. 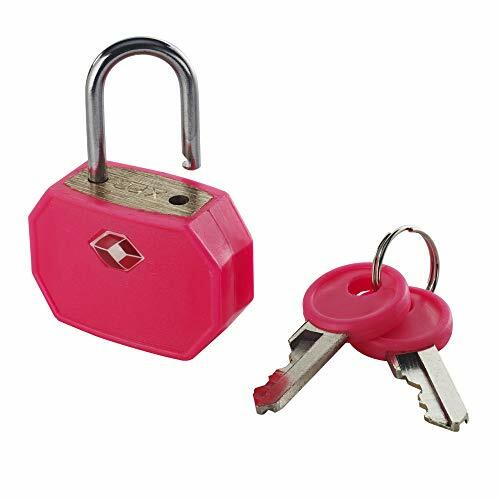 VERSATILE: This padlock keeps your suitcase and luggage safe and it's TSA friendly. 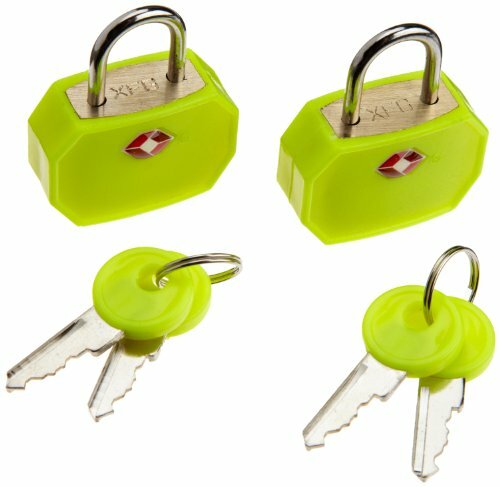 Mini size makes it perfect for a gym lock, briefcase, laptop bag, purse, backpack, and more. 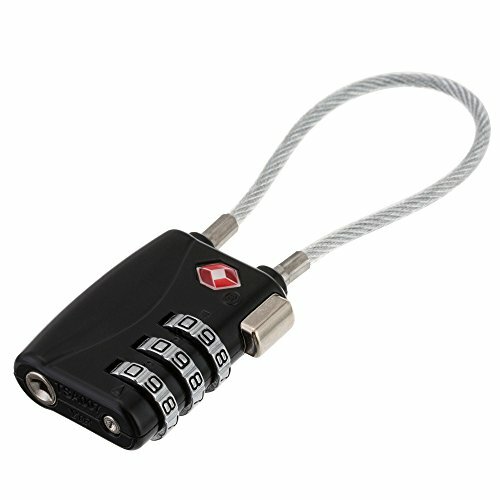 EXTRA KEY INCLUDED: Includes two keys and a keyring. Added security in case one key is lost. Keep the spare with you or give it to someone else.